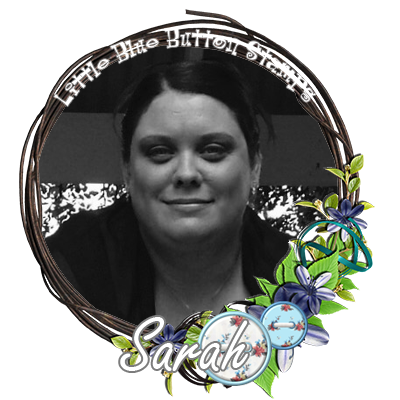 Hello friends, Sarah here with you today, showcasing the Miss Lilly Snap digi from the Little Blue Button Stamps online store. The Miss Lilly collection can be viewed and purchased online by clicking here. 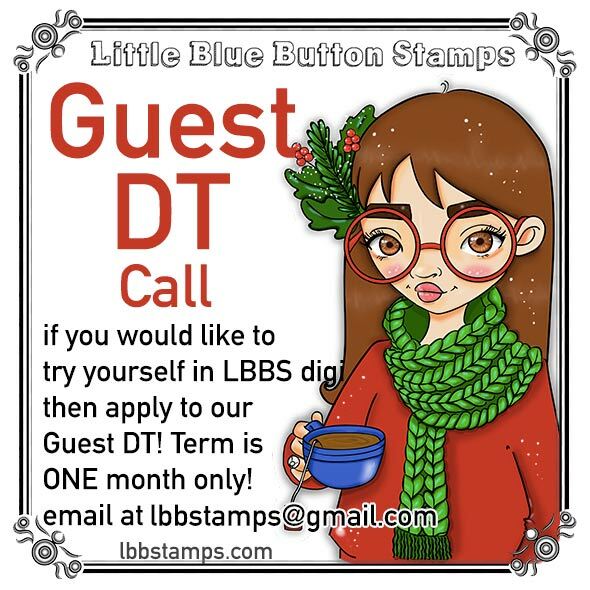 This particular stamp resonated with me as a crazy scrapbooker who enjoys taking photographs at every opportunity - I just knew there would be the perfect layout waiting for her! 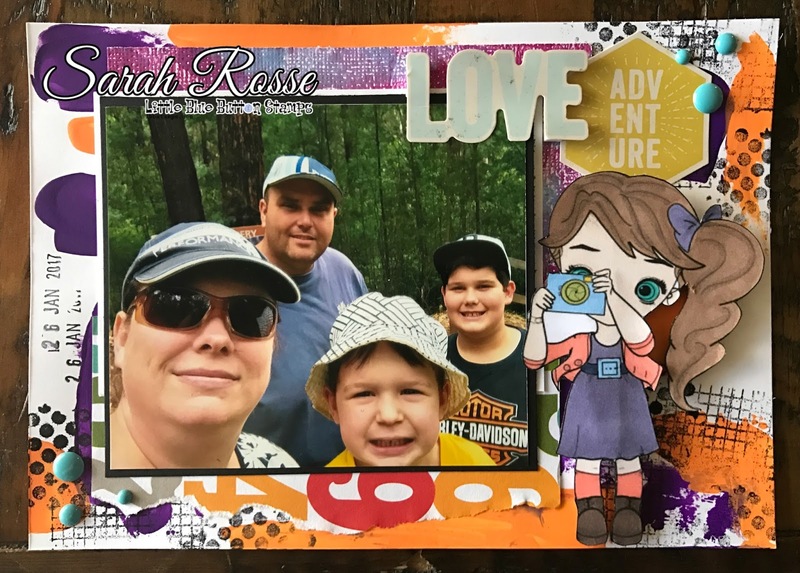 This is a 6x8 layout I created as a front cover for my planner using a family selfie from a walk we took in the forest back on Australia Day. The base of the page is created by using Dylusions paints, applied with a palette knife and some stamping in black ink with some mixed media stamps from my stash. I layered the photos with patterned paper and some gelli printed cardstock I had made some time ago. 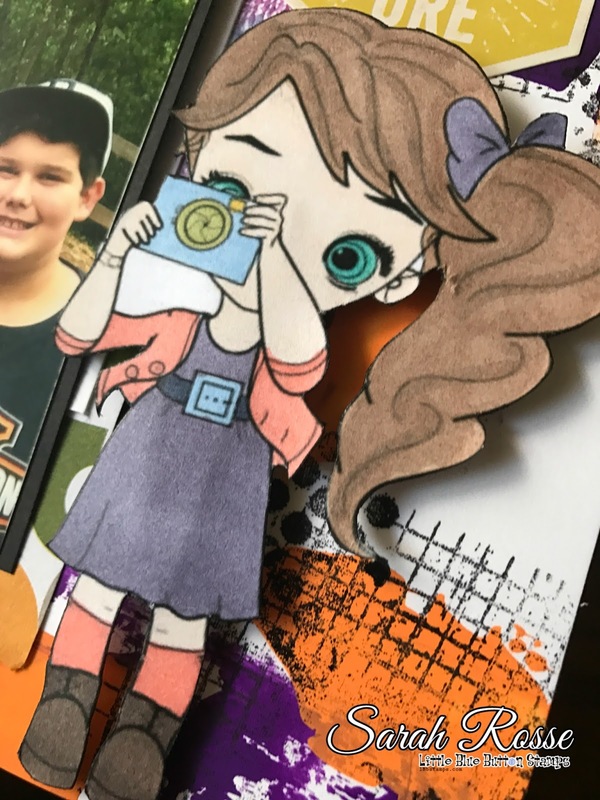 The stickers used on the layout are from the We R memory keepers High Five collection. Some enamel dots completed the layout.